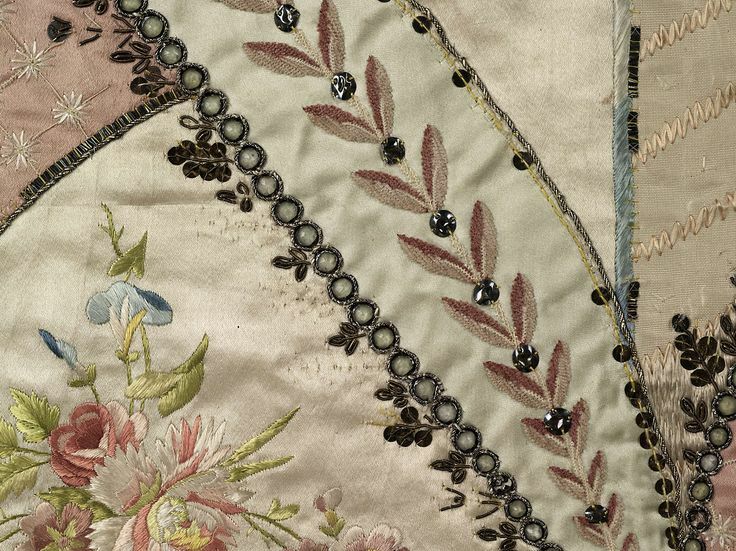 Rose Bertin was born Marie-Jeanne Bertin (1747-1813) in Abbeville, a textile town in France. 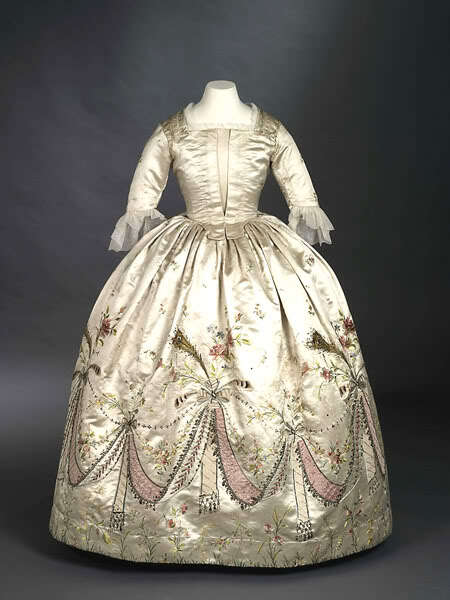 Her family was not wealthy and so she was apprenticed to a marchande de modes (fashion merchant) at a young age. By 1772 she had worked her way up to the exclusive rue Saint-Honoré in Paris, where she opened her own shop under the name of Le Grand Mogol. 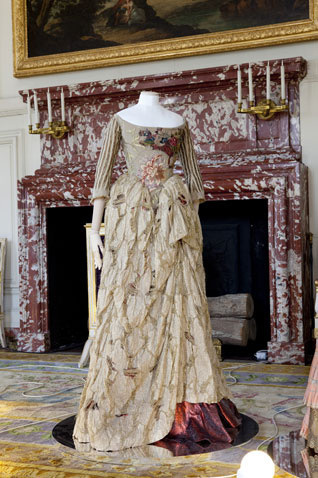 She quickly won the patronage of several influential courtiers (ladies who lived at the court), including the duchess of Chartres, who introduced Bertin to the newly crowned queen, Marie Antoinette, in the summer of 1774. 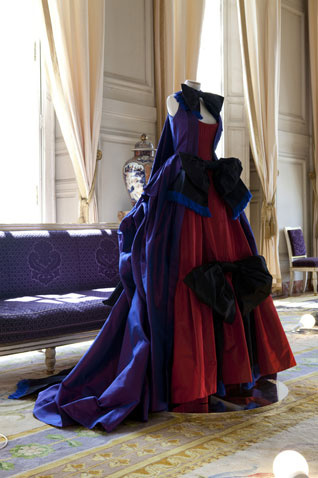 The queen of France quickly became Bertin’s most famous customer. 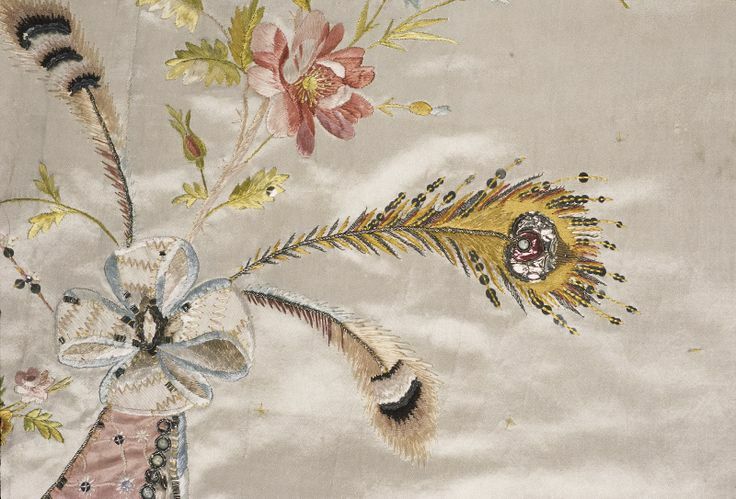 Twice a week, soon after Louis XVI’s coronation, Bertin would present her newest creations to the young queen and spend hours discussing them. 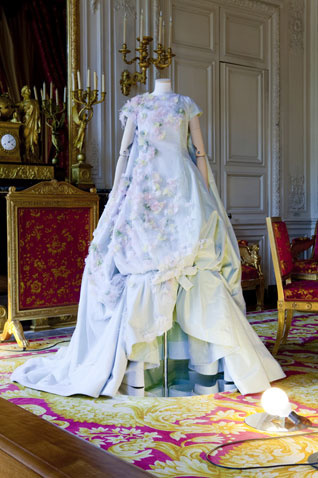 The Queen adored her wardrobe and was passionate about every detail and Bertin, as her milliner, became her confidante and friend. 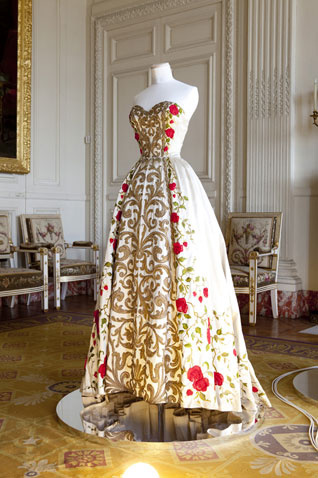 In addition to Marie Antoinette, Bertin dressed the queens of Spain, Sweden and Portugal, Grand-Duchess Maria-Fëdorovna of Russia and many European aristocrats. 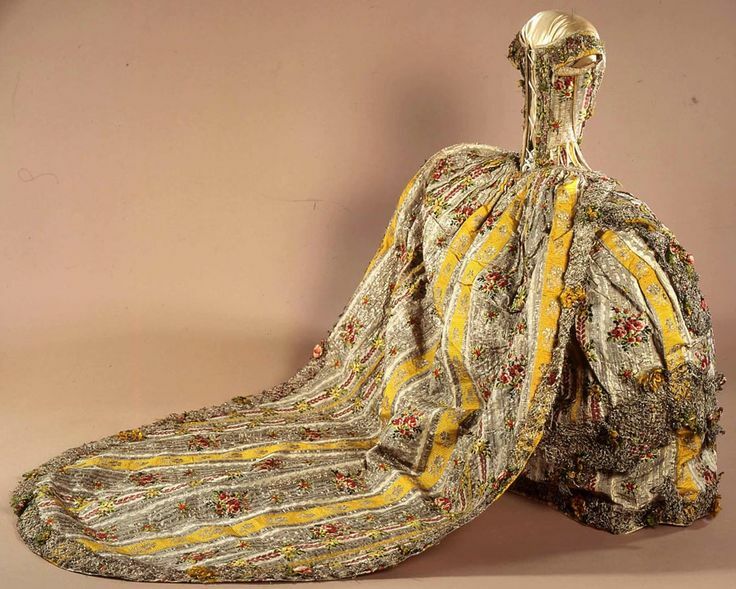 Indeed, Rose Bertin was the first “fashion designer” to become a celebrity in her own right. 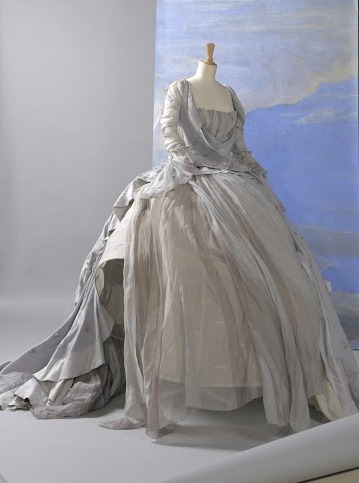 She is widely credited with having brought fashion and haute couture to the forefront of popular culture. 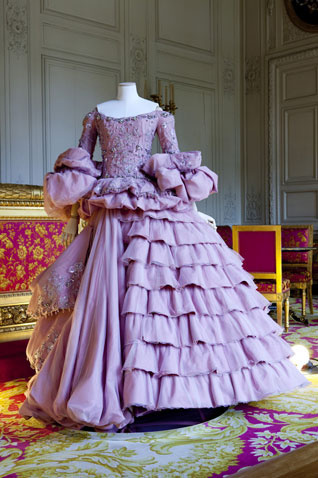 Marie Antoinette would buy nearly 300 dresses annually (not all by Bertin ofcourse) and never wore anything twice. 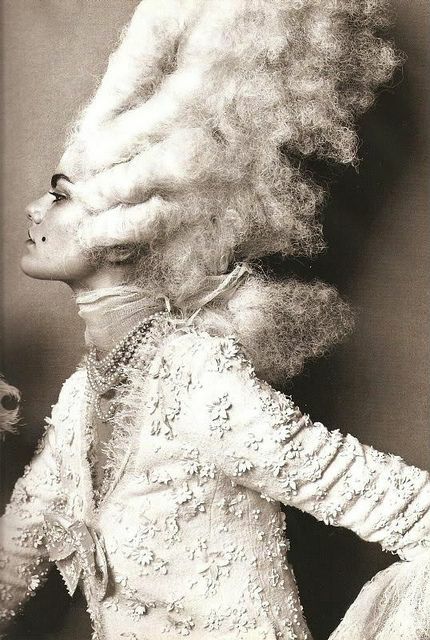 To satisfy her extravagant demands, there was also her personal coiffeur Léonard Autié, who launched the poufs, elaborate hairstyles that adorned the majestic royal locks. 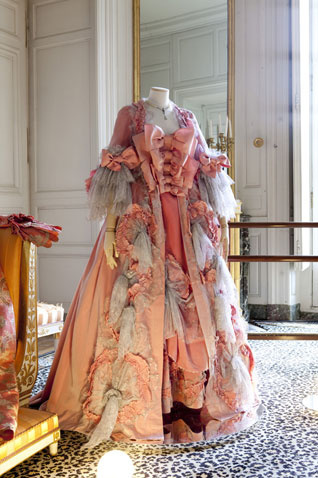 Marie Antoinette became a fashion icon (before fashion icons were called fashion icons, that is) and not only in her own kingdom. Working with Léonard , Bertin created a coiffure that became the rage all over Europe: hair would be accessorized, stylized, cut into defining scenes and modeled into shapes and objects—ranging from recent gossip to nativities to husbands’ infidelities, to French naval vessels such as the Belle Poule, to the pouf aux insurgents in honor of the American Revolutionary War. 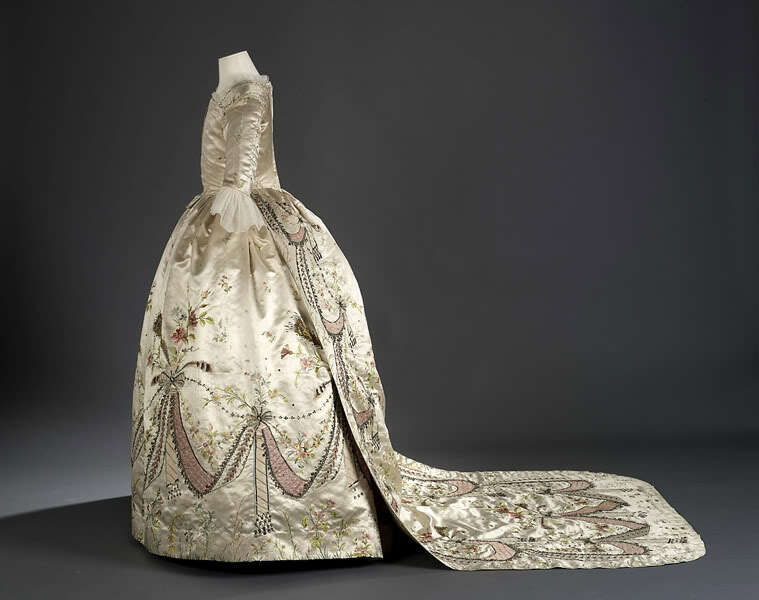 The Queen’s most famous coif was the “inoculation” pouf that she wore to publicize her success in persuading the King to be vaccinated against smallpox. 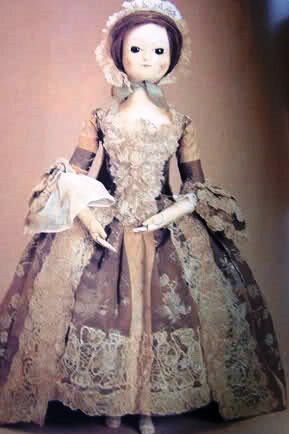 Marie Antoinette also asked Bertin to dress dolls in the latest fashions as gifts for her sisters and her mother, the Empress Maria Theresa of Austria. Bertin’s fashion dolls were called “Pandores” and were made of wax over jointed wood armatures or porcelain. There were small ones the size of a common toy doll, or large ones as big or half as big as a real person, petites Pandores and grandes Pandores. 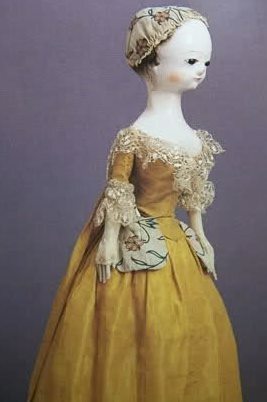 Fashion dolls as courriers of modes remained in vogue until the appearance of Fashion magazines. 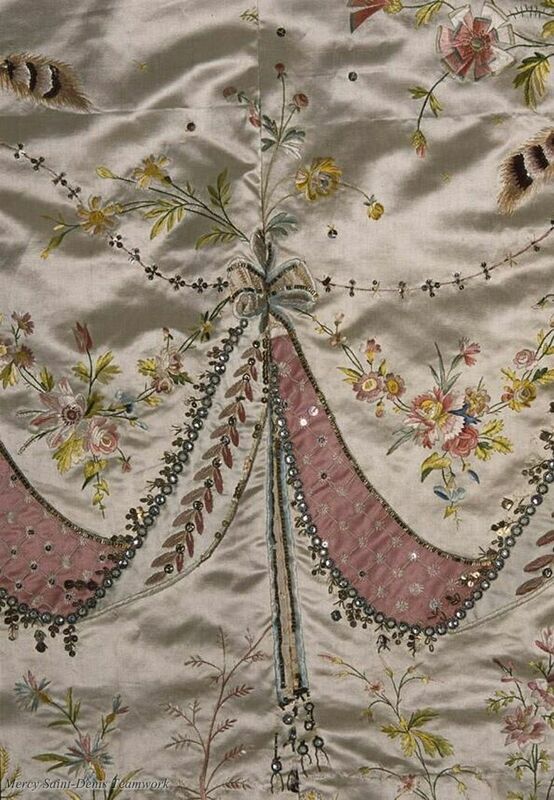 When the marchandes de modes of Paris were incorporated in 1776, Bertin was elected as the guild’s first mistress. 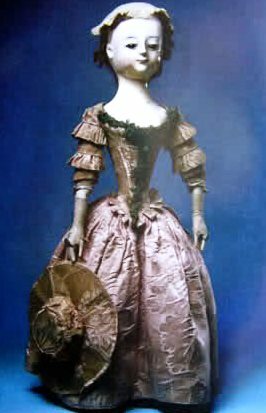 In this post, she earned the right to dress the life-sized fashion doll that toured the mercantile centers of Europe and beyond, advertising French fashions. By 1778 Bertin had grown so powerful at court that the press dubbed her France’s ministre des modes, or “minister of fashion.” The unofficial title underlined Bertin’s position as a trusted royal adviser as well as a representative of France to other nations. Bertin’s partnership with the queen ensured her success, but it would also prove to be her undoing. 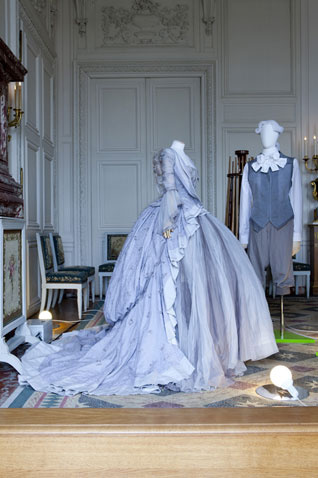 As Marie Antoinette’s popularity waxed and waned, so did that of her favorite minister. Courtiers were outraged by Bertin’s privileged place in the royal circle, unprecedented for a commoner. Furthermore, her success at court gave her an ego of princely proportions. 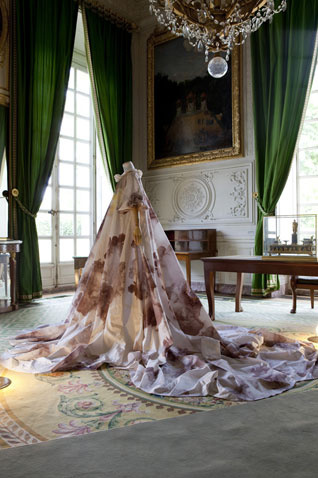 Soon Bertin was as famous for her arrogance and astronomical prices as she was for her fashions and celebrity clients. Previously, labor had represented only a fraction of the cost of a garment. By demanding star status and a star’s salary, Bertin helped elevate fashion from a trade to an art. The outbreak of the French Revolution forced hundreds of fashion workers out of business or out of the country. With her ties to queen and court, Bertin had every reason to fear for her life. The aristocracy saw Bertin as an upstart and an interloper, to the revolutionaries she was no better than an aristocrat herself. Royalists and Republicans alike blamed Bertin for encouraging Marie Antoinette’s excesses. While people were dying of starvation, numerous pamphlets denounced Rose Bertin as a “corrupt and corrupting maker of luxury goods”. 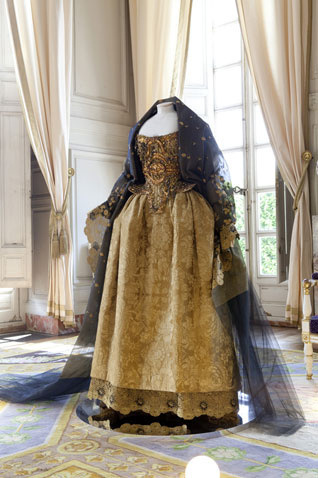 The last outfit worn by the queen during her transfer to the Conciergerie prison were made by “Le Grand Mogol”. During the queen’s imprisonment, Bertin continued to receive orders from her former prized customer, for much smaller, almost negligible, orders of ribbons and simple alterations. 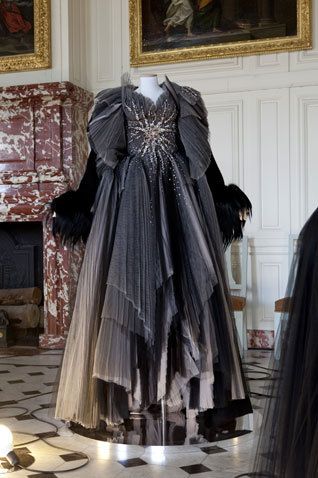 She was to provide the former queen’s mourning outfit following the execution of Louis XVI, recalling a dream that Marie Antoinette had years before of her favorite milliner handing her ribbons that all turned to black. 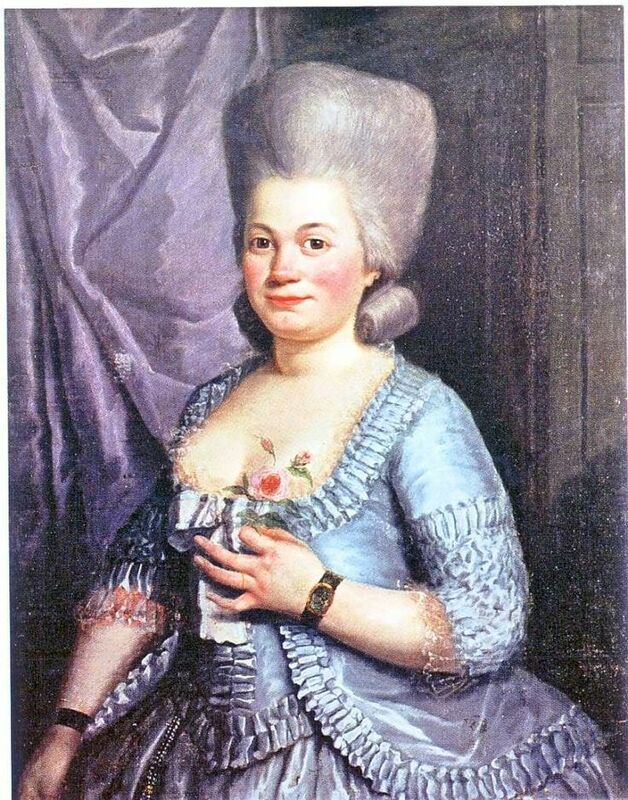 Bertin fled Paris in 1792 and spent the next three years in such Émigré havens as Brussels, Frankfurt, and London, where she continued to dress fashionable foreigners and French exiles. Unlike her royal muse, Bertin managed to survive the French Revolution unscathed. By the time Bertin returned to Paris, she was out of danger but also out of fashion. She could still count a few English, Russian, and Spanish aristocrats among her clients, but hardly any Frenchwomen. Indeed, many of her French clients had perished on the scaffold, leaving their bills unpaid. The Revolution cut her career short and Rose Bertin had long been forgotten when she died on 22 September 1813.